Search Engine Optimization (SEO) is a constantly changing landscape with a lot of moving parts, so it takes a real pro to accurately assess your website. You may be tempted to do your own SEO audit using free tools available online. However, the truth is … free tools are useless if you don’t know how to use them or if you don’t know how to interpret the results. A professional, comprehensive SEO audit should consider things like: navigation, keywords, incoming and onsite links, content, information architecture, metadata, and most importantly, user experience. The purpose of an initial audit is to identify areas on your site for improvement to immediately increase organic search engine visibility. However, if you are not overly familiar with SEO, the information within the agency proposal can sometimes feel like a foreign language. What should be covered in a comprehensive SEO audit? 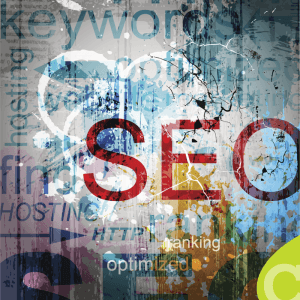 If search engines can’t crawl, identify, and index your website, it will not be listed. The first step in any worthwhile SEO audit is to verify the underlying code supporting your site. Analyze how duplicate content is identified. Almost every site has some duplicate content, and some have content syndicated from other sites. Canonical tags save your site from duplicate content penalties. Validate your sitemap. XML sitemaps provide search engines with information, including page hierarchy, public pages to be crawled, and when pages were last updated. Assess site speed. The time it takes for your page to load is critical. You probably know users will click away from slow-loading sites, but did you know that you get a ranking bonus for loading speed? Perform a backlink analysis. The links leading into your site also influence your ranking. Links from poor quality sites or sites unrelated to your industry can damage your SEO. Ease of navigation. Every site is different and there’s no one right way to create your navigation structure. No matter how fancy or simple your menus are, the important consideration is this: Can visitors find what they are looking for? Proper internal linking. It’s natural to have links on each page to other pages on your site. It’s great for reducing bounce rate and keeping visitors engaged. During an audit, SEO professionals will ensure your pages aren’t overly saturated with links and the existing links are not blatantly optimized, an SEO no-no. Semantic markup. HTML tags are designed to inform search engines about specific details. For example, you can use semantic markup to help search engines index your site more accurately and create rich snippets to help users find what they are searching for. Title tags. For some reason, title tags are often remarkably unhelpful. Matt Cutts advises title tags on every page. Make each one concise, unique, and descriptive. Meta descriptions. For users, meta descriptions are often the deciding factor between links they click and links they pass up. Page titles and URLs can be a little deceptive. A well-written meta description tells the user exactly what to expect on the page. It’s your bait, and it should be tasty. Headers and subheaders. Optimized text inside header and subheader tags isn’t just for the reader. Keywords turn your headers into categories search engines can recognize. While semantic search has changed the way keywords are used, their importance hasn’t diminished. Keyword oversaturation will kill your SEO…as will missing or misleading keywords. The way your page is laid out helps users find their way around, and also helps search engines make sense of your content. Your review will evaluate ease of use, overall design, calls-to-action, and how and if the pages are connected for a natural flow. Well-written content is foundational and essential to SEO. Customer focused and industry or brand specific content attracts both visitors and higher rankings. During a comprehensive SEO audit, your content is assessed for its value and consistency. When choosing an SEO specialist, knowledge and Geek Speak are important, but also look for someone who is personable and can work well with your team. After your website’s comprehensive SEO audit, your specialist will work with you to create a plan of action. An SEO expert will then collaborate with your team to help execute solutions and move forward with those goals. Make sure these five areas are covered during your site’s SEO audit to ensure you have a clear and detailed road map to success when defining your strategy.